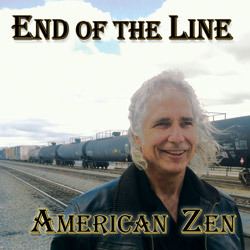 You are currently at www.americanZEN.org the MAIN WEBSITE of the band, American Zen. Coyote is teaching Shaolin Kung Fu, Yang Style Tai Chi, and creating his new Buddha Kung Fu schools and Kung Fu Bootcamps under another pseudonym, Buddha Zhen. Join Coyote as he dances with aggression and leads us all to a better path. 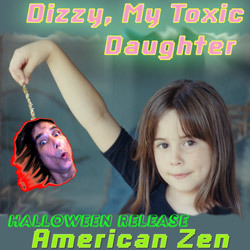 The LEVEL 3 SECTION of the americanZEN.org website, includes poetry and lyrics not included in any of the previous or upcoming Shaolin Communications poetry books by The Hippy Coyote. This website was created before recording the LEVEL 3 album, then some editing or complete rewriting of pages AFTER completing the LEVEL 3 album. Coyote didn't outgrow love -- he just outgrew his lovers. The LEVEL 2 SECTION of the americanZEN.org website, includes poetry and lyrics not included on the record or the accompanying poetry book, UTAH PHASE 1. Each website section has its own theme and color scheme. Red seemed the logical color for the CHRIST KILLER website section. The LEVEL 1 SECTION of the americanZEN.org website, has undergone several dramatic evolutions. Time is speeding up for American Zen. Some of our products have their OWN PRODUCT WEBSITE. Starting in 2008, after the launch of LEVEL 3 = I Want You To Love Me, and his Buddha Kung Fu schools, and publication of BUDDHA KUNG FU STUDENT MANUAL, and the 12 Step 12 Week Kung Fu Bootcamp franchising...Coyote started the album, LEVEL 4 = KUNG FU COWBOY. 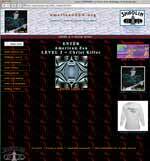 In 2009 and 2010, Coyote used this website to update fans of the progress on the KUNG FU COWBOY album. 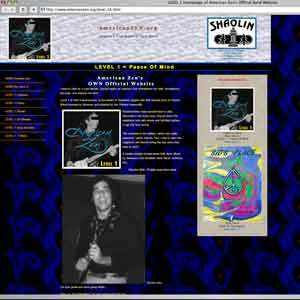 In 2013 this website became the focal point of the movie: KUNG FU COWBOY ROCK & ROLL MOVIE 1. Promotional items and news of the movie's production are logged into this website. AMERICAN ZEN is Coyote and friends on a spiritual odyssey of 8 LEVELS in pursuit of Buddhist nirvana.